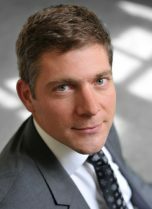 Hervé de Trogoff is a partner at Accuracy. He specialises in project advisory and forensic construction planning and programming in a variety of contexts. Hervé acts as expert witness on entitlements to extensions of time and analysis of delay, acceleration and losses of productivity on large construction and manufacturing projects across a wide range of industrial sectors. He also provides advice on project valuation, time-risk management and project audits, and prepares cost and time models on long-term projects. Hervé is a civil engineer with a background in project management and controls, and has specific experience in project planning. His construction management experience was gained with both contractors and consultants in a number of challenging international environments. Hervé speaks English, French and Spanish and has an academic understanding of the Finnish language. Master’s in Business Administration, London Business School (2004-2006), specialised in project finance and project risk management. Hervé has been appointed as a delay expert witness in UK High Court litigation and international arbitration under ICC, ICSID, LCIA, UNCITRAL, CACFEDF, Swiss CCI and other ad hoc rules. He has given evidence in English and French and has acted as joint party appointed independent expert in mediations. Expert witness in the context of delays and disruption during the construction of an offshore wind farm in Europe. Provided written and oral evidence in ICC arbitration. Independent delay and disruption expert to advise a Spanish contractor on a $4bn transport infrastructure project in South America in the context of an ICC arbitration in USA. Delay expert witness for a French multinational company on a €35mn train manufacturing dispute under ICC rules of arbitration in Brussels. Provided oral expert testimony to the tribunal. Delay expert on behalf of the EPCM company in a dispute against the owner on the construction of a $12bn new international airport in the middle-east. Independent expert to assess the reasonableness of the EPC contractor’s scope assessment and pricing of a $750mn gas pipeline project in North Africa. Expert witness on behalf of the Government of Turkey on a real estate dispute in Turkey. Provided written and oral evidence in an ICSID arbitration. Advising the owner of a $7bn mining, process and infrastructure portfolio on time and cost to completion issues, in particular relating to current negotiations or disputes with the EPC contractors on the projects. Advised the contractor on the merits of its case for delay and disruption on a €650m motorway project in North Africa. Advised the owner of two new nuclear facilities in Europe, on time and cost to completion risks.